Earlier this week, on April 13th, I attended the blow out spray launch at blow downtown located at 342 West 14th Street. 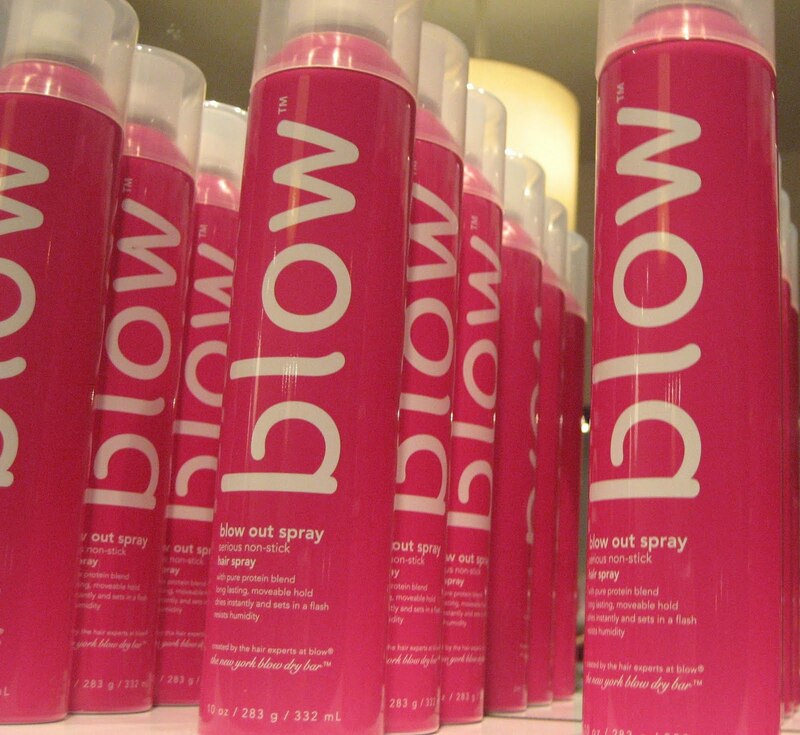 The blow out spray was developed by the award-winning New York blow dry bar. It's a non stick hair spray with pure protein blend, long lasting moveable hold, that dries instantly, sets in a flash and resists humidity. It retails for $19.75 and can be purchased at blow or at blowny.com. Stylists were on hand to provide tips, touch ups and spring styling tricks. I got to try the spray first hand, when blow dry stylist Evelia Godinez curled my hair. I love the smell of the spray, and it was very lightweight, still leaving my hair feeling soft and natural. I do have a hard time getting my hair to stay curly, so the curls didn't seem to last that long. I received a full and mini size blow out spray, so I look forward to continued use!